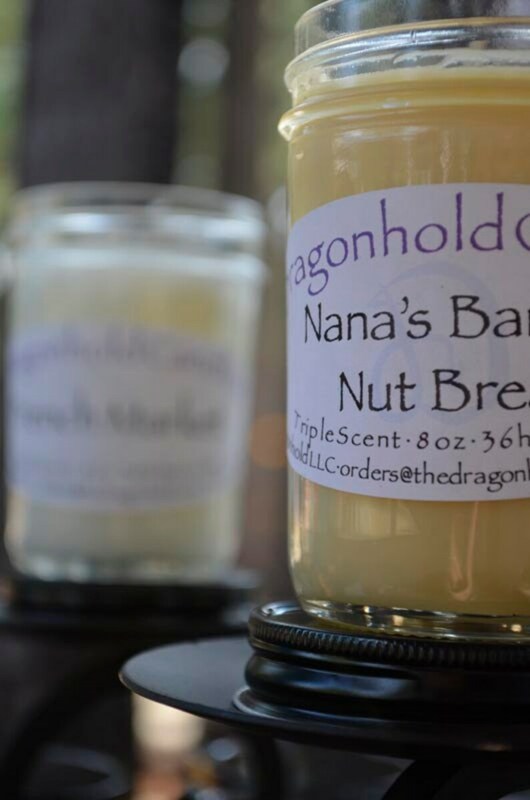 Nana's Banana Nut Bread: Creamy banana mixed with warm spice notes with a touch of sugar and walnuts. Fresh as home baked bread, Bananas, nuts, cinnamon and nutmeg. This delicious combination of all the ingredients that Nana used to put into the moist bread all come out in the throw of this scent. This fragrance oil is infused with natural essential oils, including cinnamon and clove. Yellowish in color. Just burned this candle today, it smells wonderful! It’s as if I have banana bread in the oven!